Ughh! My beads are AWFUL!!! Well, I sat down at the torch last night. Super excited I might add. I laid out all the colors I was going to work with and felt really good about it. But man was it gut wrenching. I mean everything I tried to do failed. I only made 3 beads and they were all awful! They colors looked horrible and I couldn’t get the glass to melt very well. I just stink. It’s so frustrating because I want to be able to make those damn cute little beads! I felt like a child standing there with my arms crossed pouting so I can’t do this! Well, it didn’t help. I looked at the beads this evening and they were no better. If I don’t get any better I might as well sell it all to someone who can do it. Because at this point I need the money and well let’s face it there no reason to have a bunch of stuff taking up an entire room for nothing. Without Further Adieu, My Bead Soup! My Bead Soup is sooo late! My partner is Suzann Sladcik Wilson of Beadphoria. 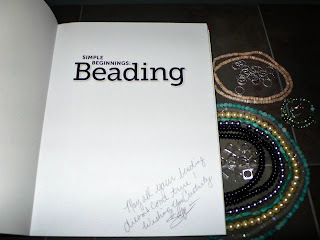 Suzann was more than generous with the Bead Soup she sent to me! Honestly, I struggled with the pieces I made.With the huge selection of beads Suzann sent me I fund myself having a hard time deciding what to use. I really wanted to maake something amazing since this was the first time I had ever participated in the Bead Soup Swap. 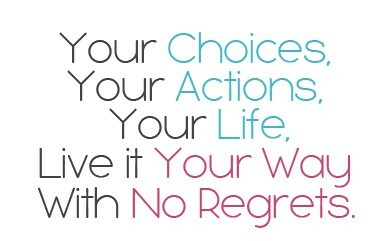 Unfortunatley, I had a few set backs that lead me to posting late. I am so sorry and I hope all of can for give me but my little boy had to come first. So without further adieu here is my creation! Well let’s face it. I am extremely hard on myself when it comes down to evaluating if I am good or not at a task. So even though I am extremely artistic, my OCD can be detrimental to my creations. I suppose it’s because art has no limits, boundaries, or rules. The beauty in it is in the eye of the beholder. And well those eyes are mine so a lot of the times I don’t finish because it just wasn’t up to my standards for the rest of the world to see. So when I first decide to do something I go straight in to planner mode. I will spend hours and I mean hours preparing to do a project and because I have OCD I will literally spend so many hours researching it and I end up exhausted and never even start. Or sometimes I spend months preparing to begin my new hobby and I keep telling myself that I just one or two more things and then I will be able to start. Well in theory it makes since but let’s be honest it’s a stall tactic or better yet it’s an excuse to procrastinate or never even start. Which brings me to the point of blogging today. I signed up for the bead soup blog party and my reveal date was August 25. Which I thought was totally doable since hello it was July currently. So, I decided to check out some the blogs of other participants. I spent several hours hopping around and looking at things that the others had created. But instead of inspiring me it had me feeling a little confused as to the direction I wanted to go with my design. 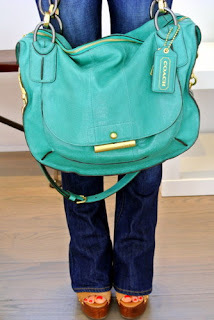 I love things that are modern and chic. But looking at the other designs they were more traditional and classic. So that made me panic a little. So over the next two weeks I struggled with what I wanted to do. 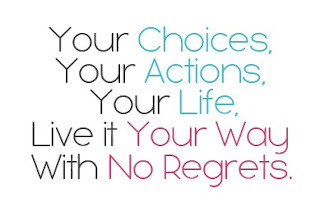 Finally, I figured out that I should have stopped thinking about it and just started actually doing it. This is probably again an interferes of my OCD because I won’t start something until “it feels” like I am really ready to start. So finally after all the planning this is what I came up with. It turned out nothing like I planned and I couldn't wait to post it. But on Thursday at 2am my son became very sick which lead me to dealing with breathing treatments, missing sleep, work and being exhausted. On the reveal date my son was on the breathing machine around the clock trying to get his asthma under control so the antibiotics to take care of the upper respiratory infection that was making him miserable. So after all the planning and my sick kiddo finally getting well I am able to post what I made from the Bead Soup Blog Party! Why does every emotion lead me back to the one memory I want to forget? Well, let’s face it creating wearable art takes practice. Lots of practice. So today I thought I would share a picture of the little Studio I spend my time in. It’s very cute and modern. I have tons of space even though you aren’t able to see the rest of the room. I have lots of glass storage and great natural light. My hope is that I will be able to get down in my studio and fire up my torch this weekend. Until then though here is what I created recently…. My Bead Soup arrived today! YAY! 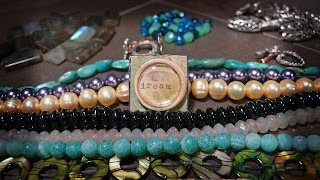 Lori Anderson is to thank for hosting the Bead Soup Blog Party which consists of 400 participants. 400 is Crazy, huh?! So the Bead Soup swap is where to individuals are paired up and then they send each other a stash of beads for the other to design with and then they each reveal their creations on the official reveal date. Lori has it set up so that the reveal is broken up into 3 separate dates a few weeks apart so that everyone will have enough time to visit each blog to see what they have created with their soup mix. I'm in the third reveal which is scheduled for August 25th. Reveal 1 is July 28th, and Reveal 2 is August 11th. 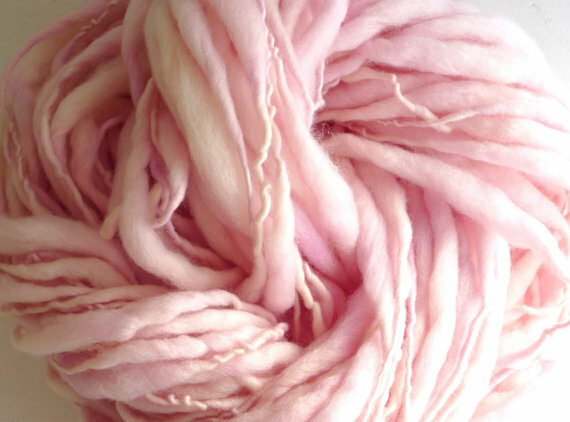 My partner is Suzann Sladcik Wilson of Beadphoria. Suzann was more than generous with the Bead Soup she sent to me! 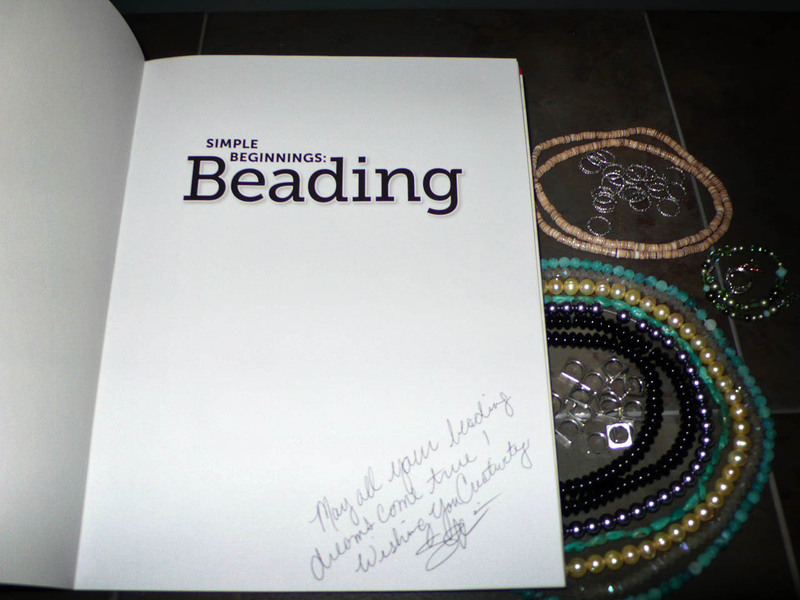 She sent me tons of beads, 4 claps, an amazing focal she handmade and she sent me a signed copy of her book called “Simple Beginnings: Beading A step by Step Guide for Creating Your Own Custom Jewelry”. WOW! That was so nice of her. Here are some photos of the items she sent to me. I can’t wait to get started $! 1 was hopping around in PINTEREST and stumbled across this bed that would be perfect for my four year old. I have been looking for one like this for quite some time. The only problem is every time I find one that looks like this is from Italy or Germany or it’s not affordable at all. So I clicked on the picture which took me to this website called IKEA HACKERS. On their website they state they are a site about modifications on and repurposing of IKEA products. This site exists largely due to the kind contribution of IKEA hackers from all over the globe. They submit their creations, with the hope of providing alternative ideas on Ikea products. Uh, that is awesome. First I LOVE IKEA! 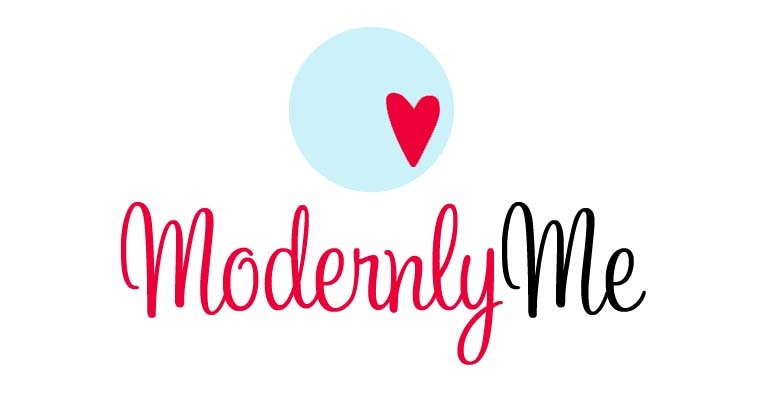 It’s affordable and modern which I am all about. They have the neatest ideas. I encourage everyone to go and take a look. You will be amazed at what you will find with a price tag that's affordable. OK, that's it. NO MORE CLAY! I threw it all away. I don't know what I did wrong but clearly I just need to buy new clay. So until then I will sit in awe over posies and pods made by professionals, Emma Todd & Ronna Sarvas Weltman. As for my sun exposure, I only had one color sitting on the dash and the air conditioner was on. I was impatient so it was barely even warm. As for the other 20 colors, yes I said 20, they have been stored in zip lock freezer bag in their original packaging in a storage tub. Some haven’t even been opened. 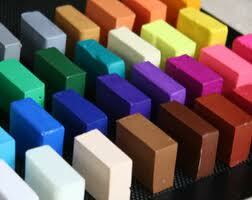 I bought FIMO and there was one other brand but I can't remember off the top of my head what brand it was. They all seemed stiff when I bought them expect for a few that were soft. So maybe I was buying old clay to begin with??? I have started feeling them before I buy them to hopefully avoid buying really hard clay. Since I didn’t try working with it very long and didn’t have anything but my hands to manipulate it I figured I should put a little more effort into it since I am home and have some tools to work with and the pasta machine. Thanks Monique I goggled tonight and found that using baby oil might work plus I have clay softener too. I figure it can’t hurt it at this point. I am going to try both of them and run it through the pasta machine and see what happens. I will let everyone know my results. Keep your finger crossed! 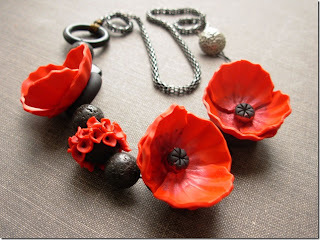 I was so inspired when I saw Emma Todd's new polymer flower necklace. It is beautiful. While I was reading Bead Soup Cafe Facebook she posted this and I couldn’t help but check it out. I decided I had to give my clay a try and see what I could create. So I went down into my studio (which is really the basement, but saying calling it the studio make it sound like I am a real artist) and pulled out all the amazing polymer clay that has been sitting for months. I had totally forgotten all about the amazing colors I had purchased. I can't remember why I ever stopped using it. So I gathered some of the colors I wanted to work with and threw them in my bag. We were going to see some of my family out of town so I thought the long car ride would be a perfect place for me to create. So as our journey began I pulled out all the clay and opened the baggie it had been stored and OMG, it was hard as a ROCK! So for the next hour and a half I couldn’t do anything with it. I sat it up in the windshield and thought maybe the heat would help soften the clay. NOPE! Not at all. UGGHH! Now what? So I got on the internet and it said I could use baby oil on it to soften it, which I tired, it was a total mess. I gave up. Now I am so discouraged I have tons of clay that is hard as a rock and don’t have a clue what I am going to do with it now. Since Emma is an expert at working with this medium maybe she could suggest some way to make it soft again so it doesn’t end up in the trash can. My bead soup is almost finished! I can’t wait to get it out to my partner. Since this is my first soup I feel like I may have went a bit over board though. I just really wanted to make sure I sent her a lot of neat coordinating things. I can’t wait to get mine in the mail. It’s like Christmas in Summer! Well, I got my Bead Soup Blog Party Partner! YAY! She is way more advanced then I am. Her Name is Suzann Sladcik Wilson of Beadphoria. 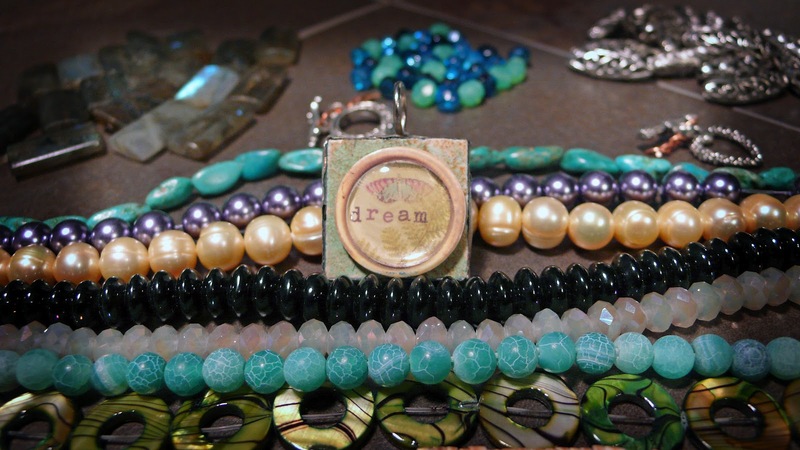 Beadphoria is dedicated to the enhancement and empowerment of one’s mind, body, & spirit through the use of beading and jewelry design. 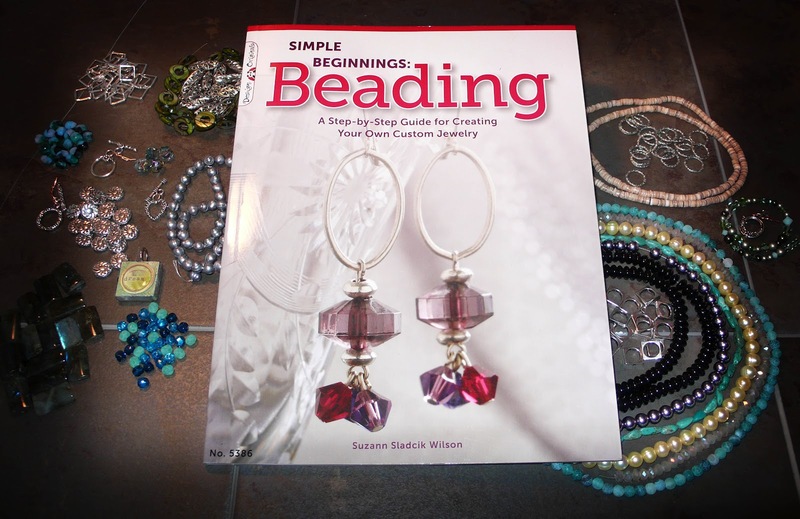 Suzann and her team strive to provide individuals with timely and accurate information, great advice on tools, tips and techniques and to be an outstanding resource to all in the global beading community. AWESOME! I can’t wait to see what she will be sending me. I have already begun looking through the HUGE stash of pieces I have collected over time. I only call it collected because I buy WAY too much to ever use all of it in my creations. Plus, I usually only create when I am giving a personal gift to someone. So let’s just say I have plenty. *Day 1- was HORRIBLE! I swear every bead was a mini disaster. Nothing turned out pretty. The beads that did come out had a bad color combination, although the rods looked like they would work nicely when they were laying there on my desk. *Day 2-of the 12 beads I made (or attempted to make) I had 2 turn out. Yep, you heard me 2. *Day 3-(why even bother right) I was shocked but are you ready for this ALL my beads turned out. SHOCKER! I had one that had internal cracking so it was a loss but they rest were pretty good. So clearly I just need to keep practicing but I am running out of glass quickly. I never realized how much glass it takes to make one bead. I also realized that until I master the little beads there’s no reason to try and tackle complex designs like my two favorite artists Cassie Donlen and Kerry Bogert. I need to have patience and eventually I will make BEAUTIFUL BEADS too someday (hopefully sooner rather than later)! NO ONE ELSE will ever know the strength of my LOVE for you. After all, you're THE ONLY ONE who knows what my HEART sounds like from the inside. 6 years ago today you left this world all too soon. Only for a short time were in my arms and by my side. I miss you every day. Today we will send pink balloons to heaven to let you know we miss you each and every day. Mommy and Daddy love you Lani! So for the first time I used some of the patinas that I purchased from Shannon LeVart of Missficklemedia on Etsy. I haven't decided what to make out of them but I love how they turned out. I can’t wait to finish them and post what I have come up with. It’s really inspired me to follow through and make time for myself and my creative side. I can't wait to see what I can make with the patinas that require heat since these are just the room temperature ones. I’m pretty impressed with myself. 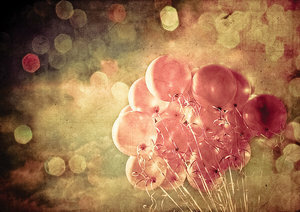 I have been trying to get my blog up and running and no I can’t stop. Well, for those of you who don’t know I love to knit and blow glass. Although I am terrified of my propane tank so there hasn’t been a lot of torching going on. Knitting on the other hand is AWESOME! My hope is that here in the near future I will use my blog as a way to spread the word about my obsession and market them. I have several I have been working on over the holiday and have yet to photograph but when I do I post them here first. 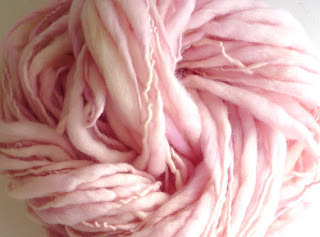 In the meantime here is a picture of this beautiful yarn that reminds me of cotton candy!